It has been almost a year since we first heard of P&G’s cross-holding company, internal agency model (when I warned in Newsletter #114: “In-house marketers, do not emulate P&G’s new model… yet”) , and now we have a progress report via AdAge (above). 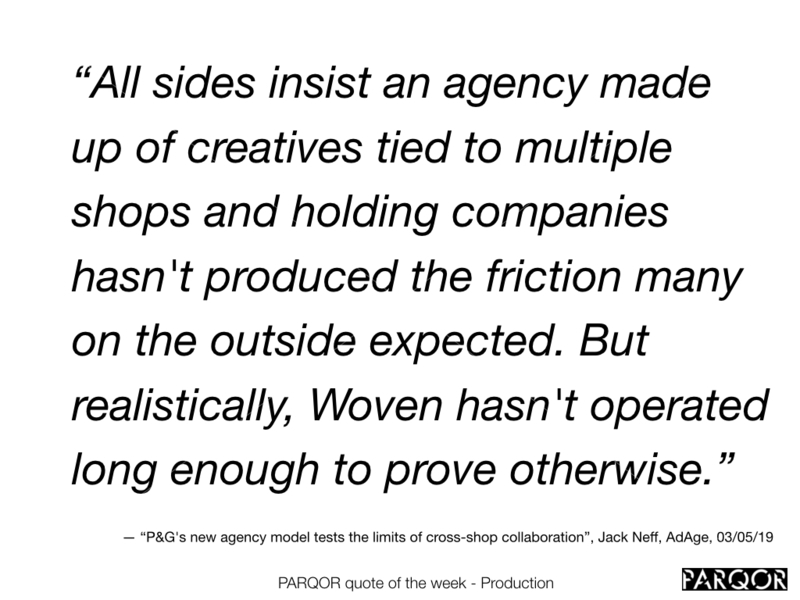 Woven, which is *not* a standalone legal entity, “comprises personnel from two agency holding companies plus in-house media planning and buying”, and is being watched closely by insiders *and* outsiders “for how in-housing will work for CPG”. This update above is absolutely worth a read, both for how Woven may be precedent for other in-house agencies, and for how quickly early key executives have left (where they went instead).